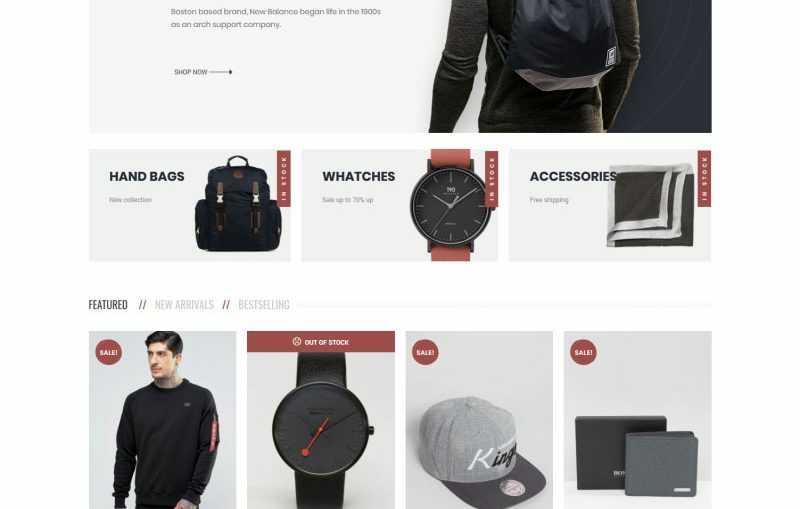 Lupus Men is clean, minimalist WooCommerce WordPress theme was developed for selling fashion brand clothes. It has a minimalist layout, which lets the visitors focus on the clothing being offered. Being fully responsive, it automatically adapts to portable devices, which allows for mobile commerce. Customers will be able to shop at your marketplace with comfort wherever they are. Some of the ecommerce features you can make use of on your site with Main Demo include product quick views, color swatches, an AJAX powered shopping cart, and much more. The Elementor plugin is on hand to help you enhance your website with ease.